Denmark consistently ranks as one of the happiest countries in the world. The reason why might lie with the idea of "hygge." This article first appeared on Greater Good, the online magazine of the Greater Good Science Center at UC Berkeley. In November, GGSC is hosting a summit on Mindfulness and Well-Being at Work; find out more here. 4. See hygge as a shelter from the outside. Hygge time is about providing a temporary shelter from social climbing, networking, competition, and materialism. A place where everyone can relax and open their hearts without judging, no matter what is going on in their life. For better or for worse, this place is sacred and problems can be left outside. This is special because it allows for families and friends to always be able to connect in this space without fear of judgment. 5. Remember it is time limited. Making hygge can be challenging for a non-Dane. No one taking center stage, no one bragging or complaining, no one being too negative and everyone trying to be present without arguing? This is hard to do for a lot of families! But the payoff is enormous. It feels incredible to share these drama-free moments with those you care about. If you realize that it is only for a dinner or a lunch or a limited period of time, it makes it much easier to really try and enjoy that moment. Your problems will be waiting for you outside hygge’s door when you leave. But for a little while they can wait outside for the sake of the something bigger. Jessica Alexander is an American columnist and cultural trainer. She graduated with a B.S. in Psychology and has always been interested in cultural differences. She’s been married to a Dane for 14 years, speaks four languages, and lives in Rome with her husband and two children. 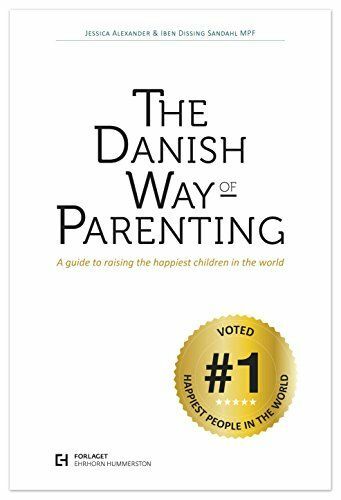 She is the author of The Danish Way of Parenting: A Guide To Raising The Happiest Kids in the World.